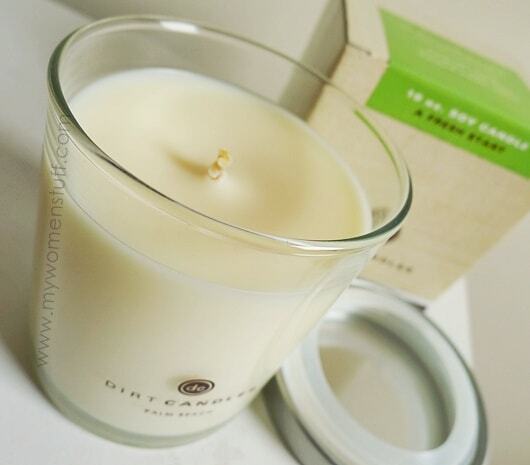 Dirt Candles, despite the rather unfortunate name, are one of the best candles I’ve ever used (and I’ve used a lot because I was a scented candle junkie!). My favourite is Take it Easy which is a gorgeous, relaxing vanilla blend that fills the house with a warm cosy feeling that is absolutely wonderful! 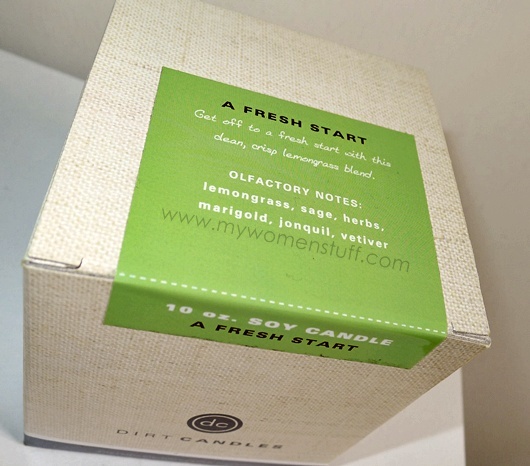 I picked up A Fresh Start because the smell of lemongrass makes me think of a spa and A Fresh Start is what I’d like to have in the coming year. Not quite sure yet how I’m planning that fresh start but having a candle remind you is a pretty good idea 😉 This one smells a little citrusy with a bit of a zing! that I really like. Enough rambling from me. Let me go and enjoy my candle and you go enjoy your Christmas day. PREVIOUS POST: Your Say: Does a celebrity endorsement influence your beauty purchases? NEXT POST: What is your favourite non-beauty item in 2010? Merry Christmas! Enjoy your candle! I shall have to look that one up! 😀 Thanks for the rec and Merry Christmas! was the vanilla the one we smelled in yr house last time? Okay, Paris – I’m sold! Placing my order NOW 😀 Merry Christmas! 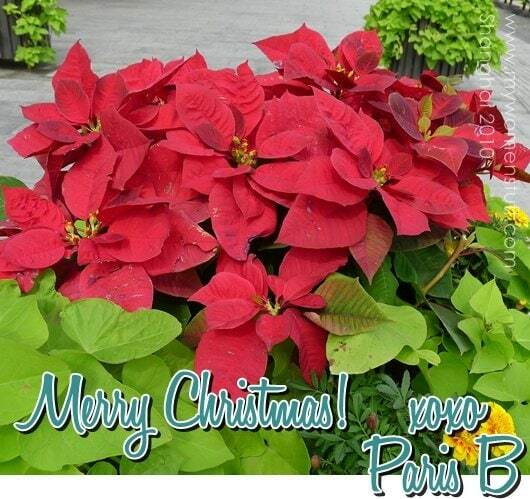 I hope your Christmas was a good one! Why would you name something that’s scented and looks extremely clean with Dirt Candles? I recently bought the ecoya soy candle in French pear! Love it too. 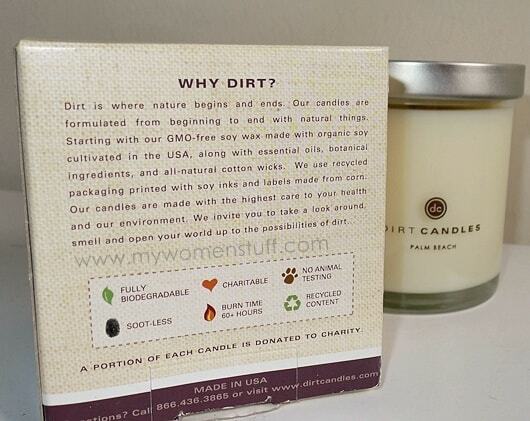 Got to try get a dirt candle too now, Paris! I love the moisturizing part of it. Mmm… Ecoya? Where do we get that? If we can get that here that is 🙂 If you do try Dirt Candles, do try applying the warm wax to your skin. I love the vanilla one best. I got it in Takashimaya in Ngee Ann City Orchard Road in B1. It will soon be made available in Robinsons etc according to the sales promoter. This brand is from Australia. However, there’s limited scent choice. My favourite of the lot will be french pear. They have a vanilla one too but it’s out of stock . 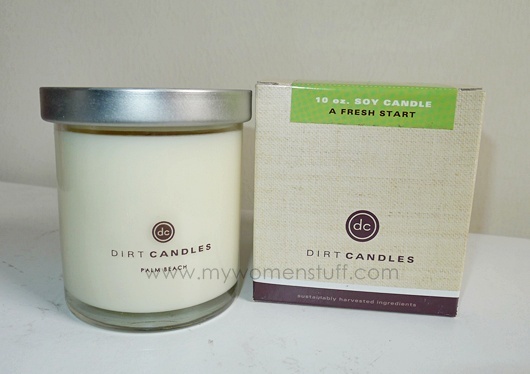 Is Dirt Candles only available online? Anywhere in KL carries this? Now you makes me wanna get some candles..